Mildred W. “Middie” Miller, 92, of Frostburg, passed away on Monday, November 26, 2018, at Sterling Care Frostburg Village. Born on October 4, 1926, in Frostburg, she was the daughter of the late George W. and Julia Anna (Woodrow) Wellings. In addition to her parents, she was preceded in death by her husband, James Barthol Miller; sisters, Sarah Neilson, Sophia Foust and Edith Davis; brothers, George L. and Robert Wellings. 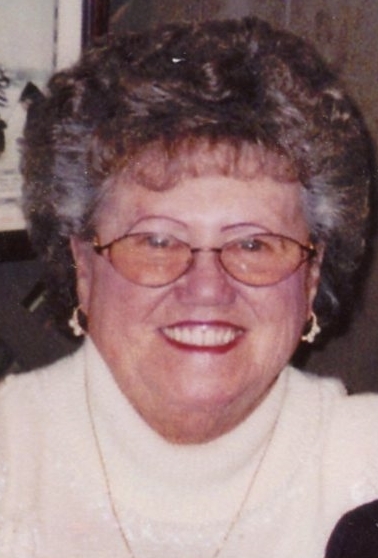 Middie was a member of St. John’s Episcopal Church, Farrady Post 24 American Legion Auxiliary and past president of Frostburg Senior Citizens Organization. She retired from Reid Avery Co. in Dundalk, MD. Surviving are her daughter, Sandra L. Martin and husband Lee; granddaughter, Sherrie L. King; grandson, Christopher L. Martin; great grandchildren, Melissa King, Brittany Hesson and husband Tim, and Brieanne Martin; great great grandson, Zachary Hesson and numerous nieces and nephews. Friends and family will be received at Durst Funeral Home P.A., 57 Frost Avenue, Frostburg, MD on Wednesday, November 28, 2018 from 2 to 4 and 7 to 9 pm. Funeral services will be held at Durst Funeral Home on Thursday, November 29, 2018 at 1:00 pm with Rev. George M. Harpold officiating.